A set of productivity options to manage multiple windows on big screens. Snapping is a great way to avoid window overlapping that comes as a result of multitasking. Too many open windows make the desktop messy as they partly cover or completely block each other. It affects your performance as very soon you'll find yourself hunting for windows, rather than doing the job. This is where WindowSpace can extend a helping hand. Just enable its snapping feature, and it'll help you to avoid overlapping. 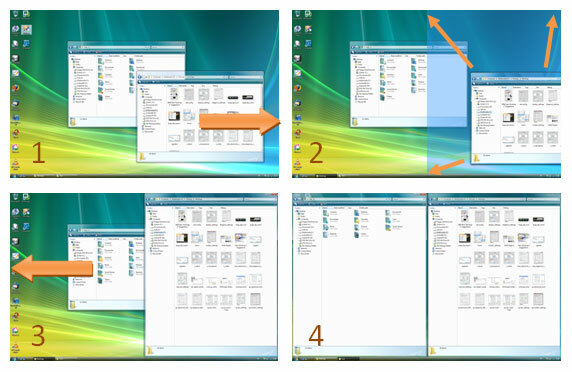 Snap windows to each other or to the screen neatly, edge to edge, and stop playing hide-and-seek with them! Qweas is providing links to WindowSpace 2.5.7 as a courtesy, and makes no representations regarding WindowSpace or any other applications or any information related thereto. Any questions, complaints or claims regarding this application WindowSpace 2.5.7 must be directed to the appropriate software vendor. You may click the publisher link of WindowSpace on the top of this page to get more details about the vendor.